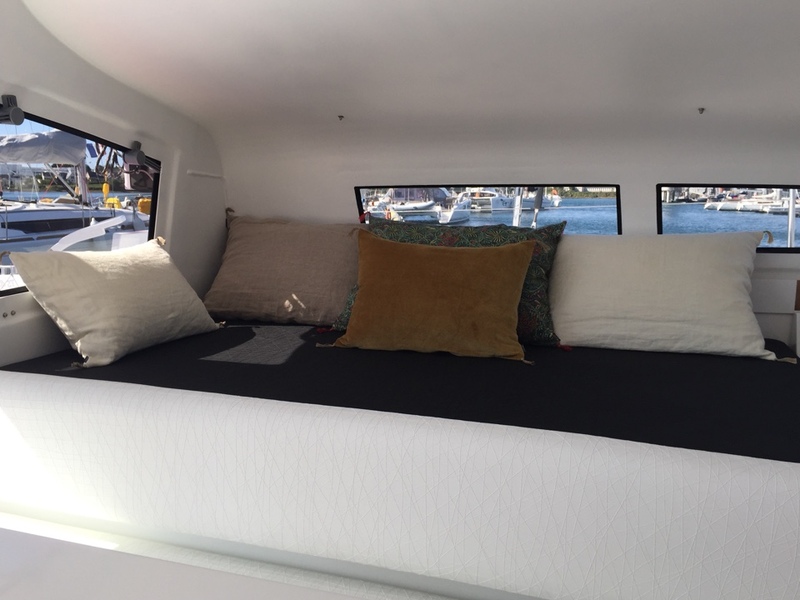 TS42 is a fast cruising catamaran, built by MARSAUDON COMPOSITES, entirely design for both performance and comfort. The open space (not divided) between outside and inside gives the TS42 a much larger living space. Offset helm stations allow a good vision forward and on the rig, easy access to the tuning of the sails. This is very much like the helm position found on dinghies. All of this optimizes the tuning. The space on the platform is customizable. The access to the hulls is watertight. Security to thefts with the textile entry door. The rig is very simple: no spreaders (carbon version), lower shrouds and staysail with short and stiff luff, which makes it more efficient. The rig is also quite set back to maintain a good self-tacking forward sail surface. The rest area, very enjoyable, offers a 360° sea view. This particular spot allows participation to life onboard, without getting in the way of the rest of the crew. This is also a perfect spot to keep an eye on a child while he’s taking a nap. 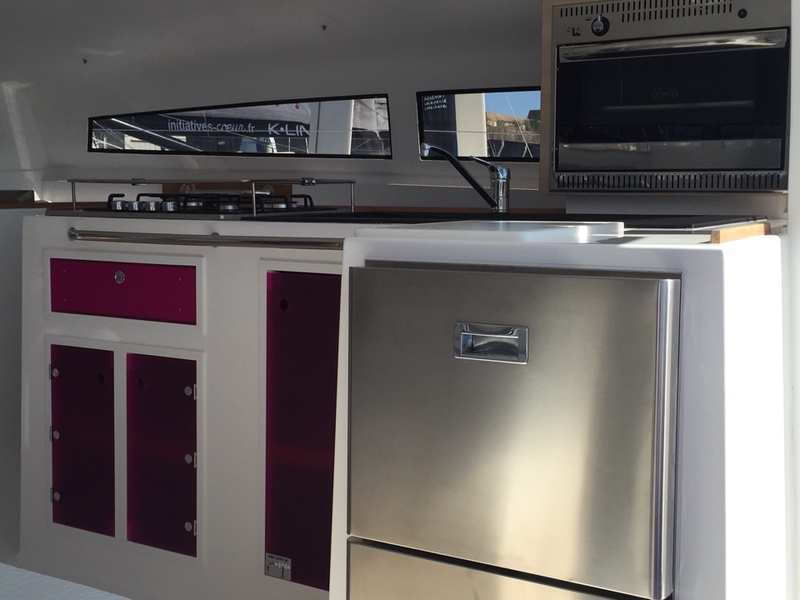 The kitchen is really spacious, especially considering the size of the boat. 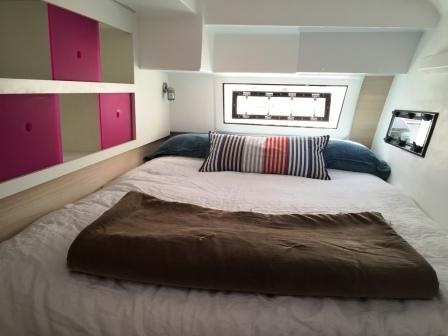 You will also find a large bathroom in each hull. 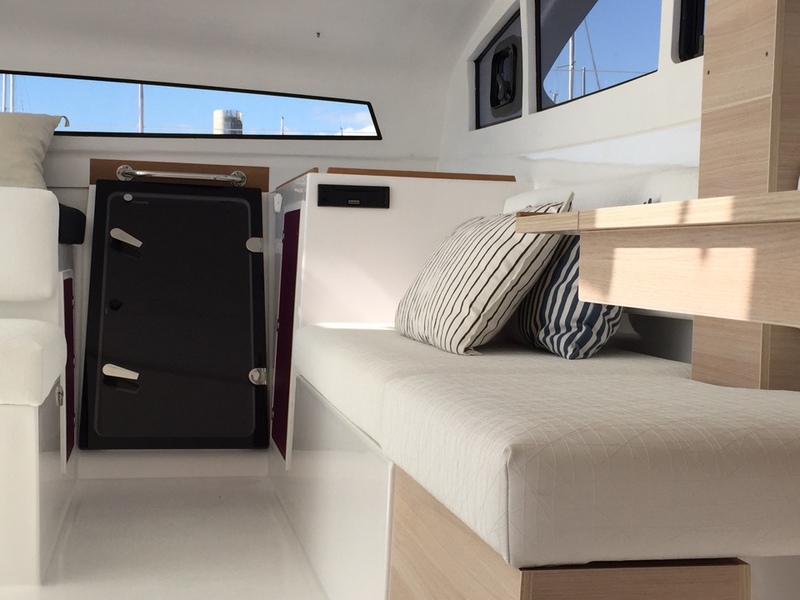 The aft cabins are full of light, with a nice view on the aft of the boat. TS 42 exists with both removable or textile doors, and with dagger boards or fins according to the sailing programme.